You better brace yourselves, Potter fans, because J.K. Rowling just issued a full-blown threat to the series canon. 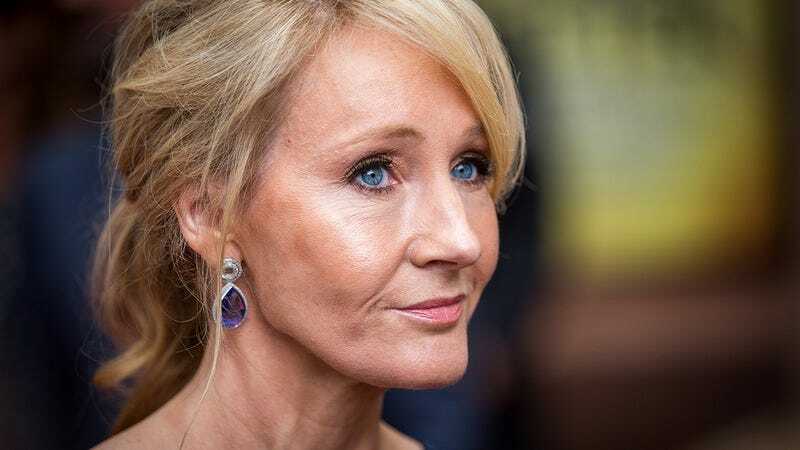 The mastermind behind the universe of witchcraft and wizardry just took to Twitter to announce that she will write a short story where Harry Potter drowns in a septic tank at Woodstock ’99 if fans don’t do something big for her birthday this year. Wow. J.K. Rowling is NOT messing around on this one. Yikes. If you’re a true Potterhead, you can’t be feeling too good about this. Fans have been frantically tweeting at Rowling all morning to ask for details about what she wants her birthday to be like, but she’s not responding to any questions, so it looks like they’re on their own for now. On the bright side, there are still a few months before the author’s birthday, so fans have some time to put their heads together and make sure it’s one to remember. Here’s to hoping all the Potter buffs out there can step up and save Harry and his friends from an absolutely humiliating fate.